Yacht&Smith Ruffle Slouch Socks for Women, Unique Frilly Cuff Fashion Trendy Ankle Socks (6 Pair Black Glitter Cuff) at low wholesale prices. 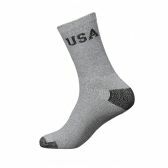 Socksinbulk.com offers Womens Crew Sock at bulk discounted prices. Yacht&Smith is dedicated to bringing you the most fashionable items at affordable prices. Your satisfaction is important to us. If you are for any reason not satisfied with your purchase, please reach out to us! These one of a kind designs are only available from Yacht&Smith. Made with 90% cotton, 10% spandex. Get a value pack of high quality frilly cuff anklet socks for women. Features a flowy cuff at the top of a comfortable slouch sock for an attractive retro or vintage look. These lightweight socks were constructed for comfort, breathability, and fashion. Offers gentle support suitable for wearing all day long. This unique and fashion forward trendy design is only available with Yacht & Smith.